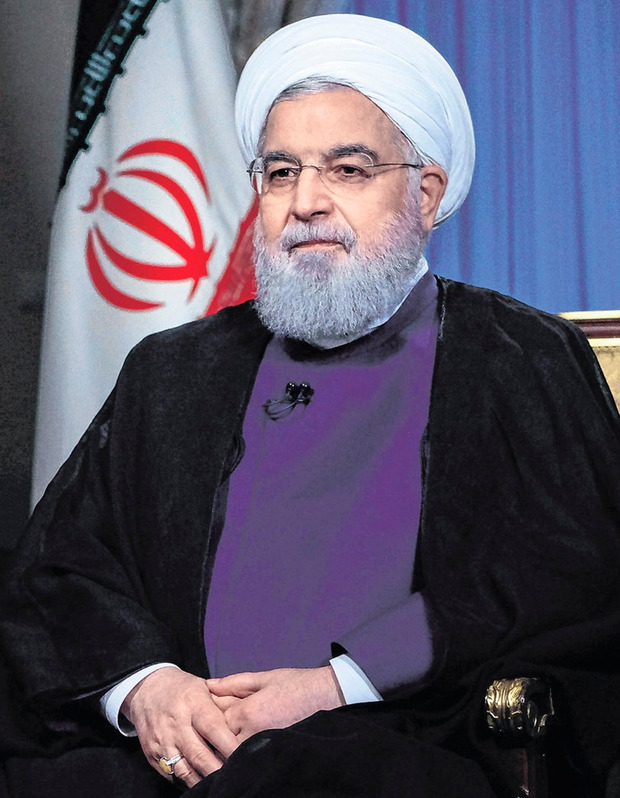 Iranian President Hassan Rouhani yesterday accused the US of waging "psychological warfare" with a wave of reimposed sanctions. The United States has brought back into effect harsh penalties that had been lifted under a historic, multi-party nuclear agreement that President Donald Trump abandoned in May. The first of two rounds of sanctions kicked in at 12:01 am, targeting Iran's access to US banknotes and key industries, including cars and carpets. "If you're an enemy and you stab the other person with a knife, and then you say you want negotiations, then the first thing you have to do is remove the knife," Mr Rouhani said in an interview on state television. "They want to launch psychological warfare against the Iranian nation. Negotiations with sanctions doesn't make sense." Mr Trump's contempt for the nuclear deal dates back to his time as presidential candidate and on May 8, he made good on a pledge to pull America out of the international agreement. He blasted the agreement yet again on Monday, calling it a "horrible, one-sided deal (that) failed to achieve the fundamental objective of blocking all paths to an Iranian nuclear bomb". The president's unilateral decision to withdraw came despite other parties to the agreement - Britain, China, France, Germany, Russia and the EU - pleading with him not to abandon the pact aimed at blocking Iran from acquiring nuclear arms. It highlights the US leader's go-it-alone style and his distaste for multilateral agreements. In an executive order on Monday, Mr Trump said the sanctions seek to pile financial pressure on Tehran to force a "comprehensive and lasting solution" to Iranian threats, including its development of missiles and regional "malign" activities. Many large European firms are leaving Iran for fear of US penalties, and Mr Trump warned of "severe consequences" against firms and individuals that continued to do business with Iran. Mr Trump said he was open to reaching a deal with Iran "that addresses the full range of the regime's malign activities, including its ballistic missile programme and its support for terrorism". John Glaser, director of foreign policy studies at the Cato Institute, noted that the US sees the sanctions "as a tool to pressure Iran to come back to the negotiating table to rehash the nuclear deal on terms more to Trump's liking". He added: "That is not going to happen." The second phase of US sanctions, which takes effect on November 5 and will block Iran's oil sales, is due to cause more damage. However, several countries including China, India and Turkey have indicated they are not willing to entirely cut their Iranian energy purchases. Iran's Foreign Minister Mohammad Javad Zarif told reporters global reaction showed the US was diplomatically "isolated" but acknowledged the sanctions "may cause some disruption." Mr Rouhani's government has taken emergency measures to stem the collapse of the rial ahead of the return of sanctions.